Home > RA Treatment: What is the Safest Treatment for Rheumatoid Arthritis? > RA and Hydroxychloroquine: How Effective is it for Rheumatoid Arthritis? RA and Hydroxychloroquine: How Effective is it for Rheumatoid Arthritis? Joint damage worries and aching hands are no fun, and if you’re experiencing those kinds of problems because of rheumatoid arthritis you may have options that can help you feel better. There’s no cure for arthritis, which is unfortunate, but feeling better is definitely possible. 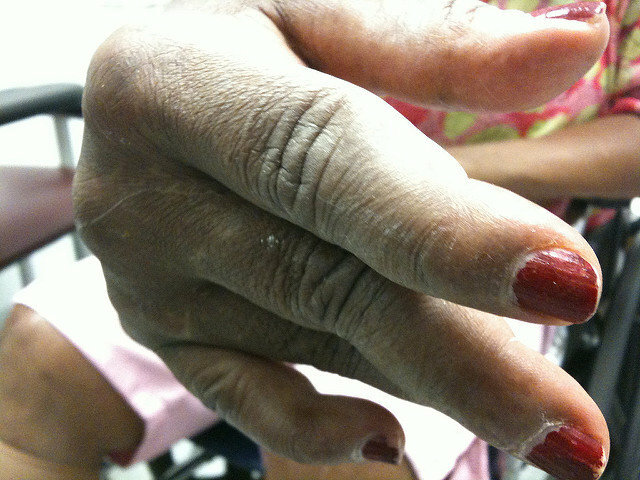 The progression of RA may be diminished in severity and duration by the combination of medicines and therapy that work best as determined by you and your physician. You can also put off joint damage, and in some cases, you can do more than just slow it down. Being able to stop joint damage can lessen pain and mean a better quality of life. Hydroxychloroquine is one of the medications that can be a valuable part of your treatment plan. What Conditions Does This Treat? Originally, hydroxychloroquine was used to prevent and treat malaria and was considered very effective. Now it is generally used for rheumatoid arthritis, but it has also been shown to work well for juvenile arthritis, some lupus symptoms, and other types of autoimmune conditions. While doctors are not clear why this medication is effective for autoimmune conditions, the theory is that it interferes with the metabolic communication between the bodies immune system cells. If the cells can’t effectively communicate with each other, then the excessive immune response of RA is reduced. What is Hydroxychloroquine, and What Does It Do? 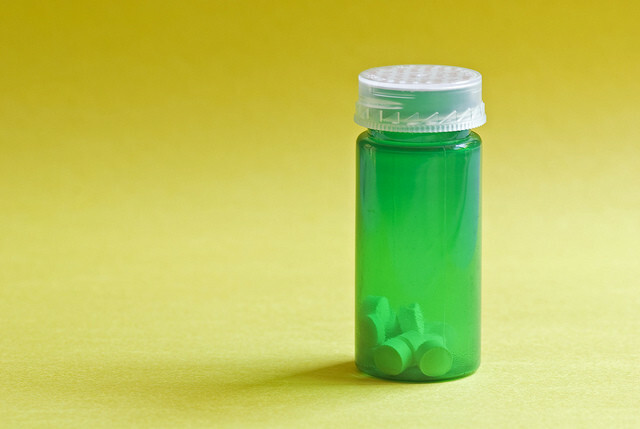 According to the American College of Rheumatology, hydroxychloroquine (Plaquenil), is a “disease-modifying anti-rheumatic drug (DMARD),” meaning that it helps reduce the pain and swelling that come with arthritis. It can also reduce the incidence of joint damage, thus lessening the risk of developing a long-term disability from complications of RA. If you have rheumatoid arthritis, talking to your doctor about hydroxychloroquine may be the right choice for your needs. The medication is generally well-tolerated, and has even been found safe overall for women who are pregnant or breastfeeding. How is This Medication Given? Generally, hydroxychloroquine is given in 200 mg or 400 mg doses, once per day. Higher doses can sometimes be used, but only in adults and not for all cases. Some people tolerate this medication much better than other people, so it is important that individuals who are considering taking hydroxychloroquine talk with their doctor about the lowest necessary dose to reduce or eliminate their symptoms. 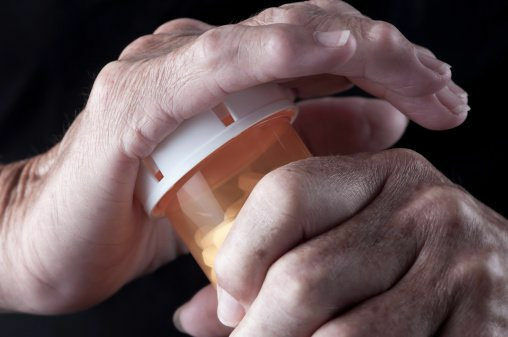 They should also discuss any side effects that may appear, and focus on what they should do if they experience problems when taking this medication for the treatment of rheumatoid arthritis or another condition. How Fast Does This Medication Work? RheumatoidArthritis.net indicates that you can expect to see some results after a month or two of taking hydroxychloroquine, but in order to get the full benefits you will need to take the medication for at least six months. That can help you realize how much benefit you’re going to actually get from the drug. Some people see a nearly complete remission of symptoms. Other people see only a slight improvement that’s virtually nothing at all. For most people, there will be a difference in their symptoms that will be somewhere in the middle of these two extremes. Taking the medication for the full six months can help you make a decision about continuing it. Does Hydroxychloroquine Have Side Effects? Like all medications, there is the risk of side effects. Fortunately, the problems seen by people taking this medication are usually very mild. Serious side effects are rare. Overall, most people who have any noticeable side effects from hydroxychloroquine experience diarrhea or nausea. These usually get better after the person adjusts to the medication, and taking the drug with food can help, as well. Additionally, some people experience anemia and vision changes or even vision loss, but this is quite rare. It’s more commonly seen with high doses for long periods, in older people, and in those who have kidney problems. Are Drug Interactions a Concern? According to WebMD, in most cases, you don’t need to be worried about drug interactions when taking hydroxychloroquine. It has only a mild effect on the immune system, but you should still tell your doctors what you are taking. Even if you only take over-the-counter medications, let them know so they can help you make sure you won’t have an adverse reaction. You also want your medications to be effective, so being sure you’re taking them correctly and not mixing anything together that could be a problem is important. Hydroxychloroquine can be a great choice to reduce rheumatoid arthritis symptoms when taken correctly.